We’ve published the latest version to the Android Market yesterday. Lots of improvements in this new version! Check out what we’ve done below. We’ve drastically changed the way favorites are displayed. 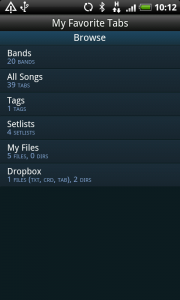 Instead of one big list showing all your favorites (including files and setlists), we’ve separated them. 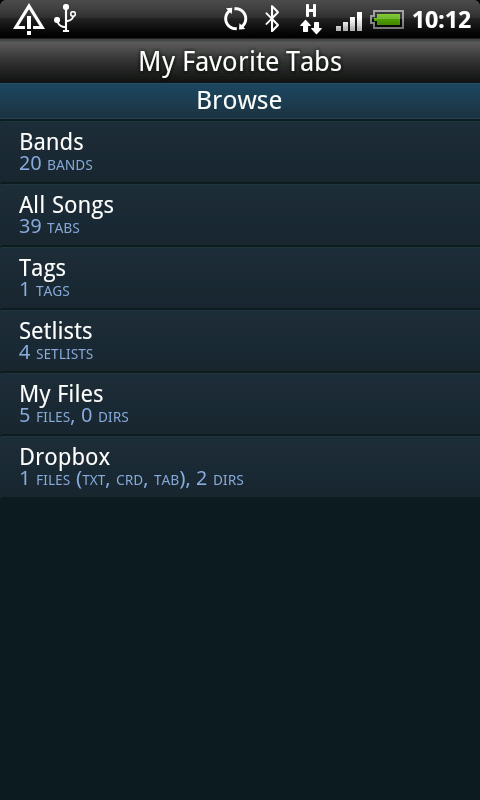 The favorites screen now first shows the options Bands, All Songs, Tags, Setlists, My Files and Dropbox. Clicking one of those options will take you to a filtered view of your favorites, increasing usability and performance. As you may have noticed, we’ve added 2 more options to your favorites: Tags and Dropbox. Tags allow you to assign keywords to songs, and apply them as a filter. 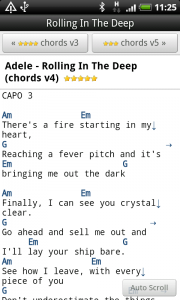 For example, you might have 3 songs tagged as “Rock,Acoustic”, “Rock”, and “Humor,Acoustic,Country”. 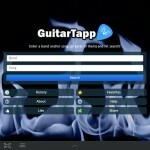 Picking tag “Rock” from the tags list will show you songs 1 and 2, and tag “Acoustic” will show you songs 1 and 3 etc. Another cool new feature is the Dropbox support we’ve added: files in your Dropbox with extensions .txt, .crd and .tab will be available for opening in GuitarTapp, adding to setlists, add/edit song information (including the new tags), and editing. 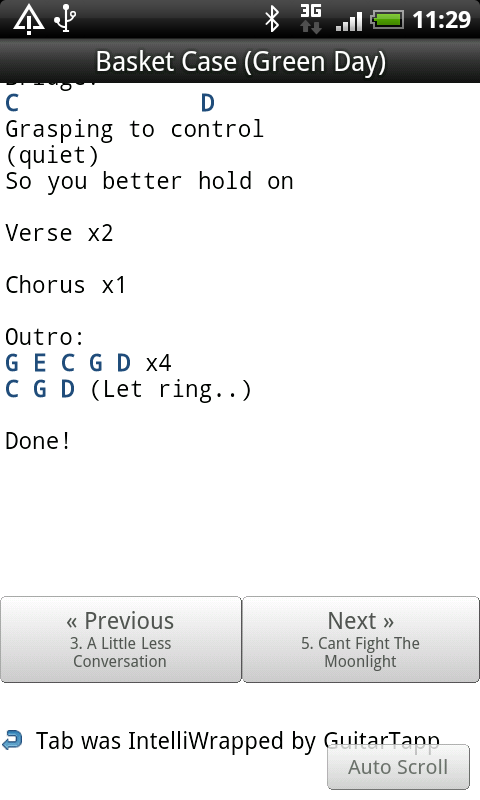 - If you came from a list of song versions, 2 buttons on top will allow you to browse to the previous and next song version so you won’t have to go back to the list to pick another version. This allows you to quickly determine what version looks best to you! 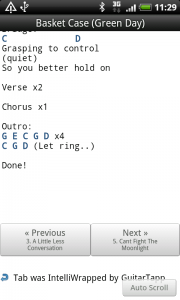 - If you came from a setlist, 2 buttons at the bottom of the tab will be added that allow you to quickly jump to the previous and next song on the setlist, and will also give you hints like ‘End of set 2′ and ‘End of setlist’, so you know when you can take a break without having to think twice! Another UI feature we added is being able to tap the title bar to scroll back to the top instantly. 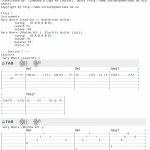 Extremely useful if you’re viewing a large tab and want to go back to the start! AutoScrolling is now soooo smooth, sometimes you have to look closely to check if it is really running! 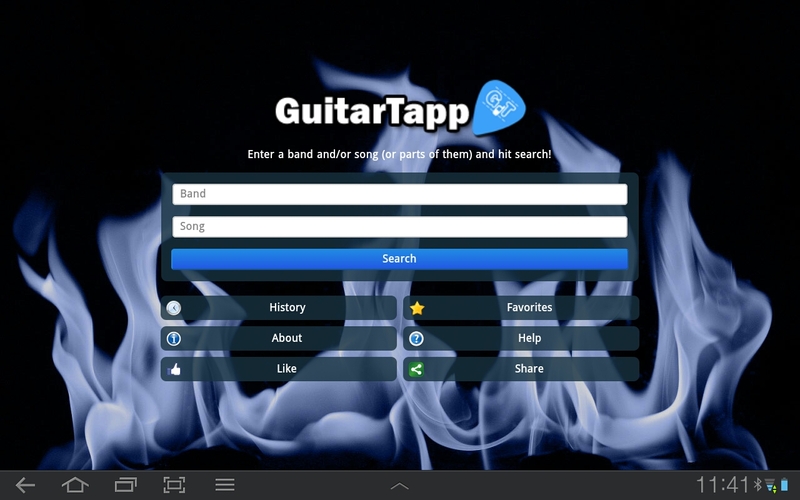 Although GuitarTapp has a small footprint (about 700KB), we’ve enabled App2SD functionality which allows the app to be moved from internal memory to the SD card. If it helps you getting that bit of extra space on your phone/tablet memory free, this one’s for you. 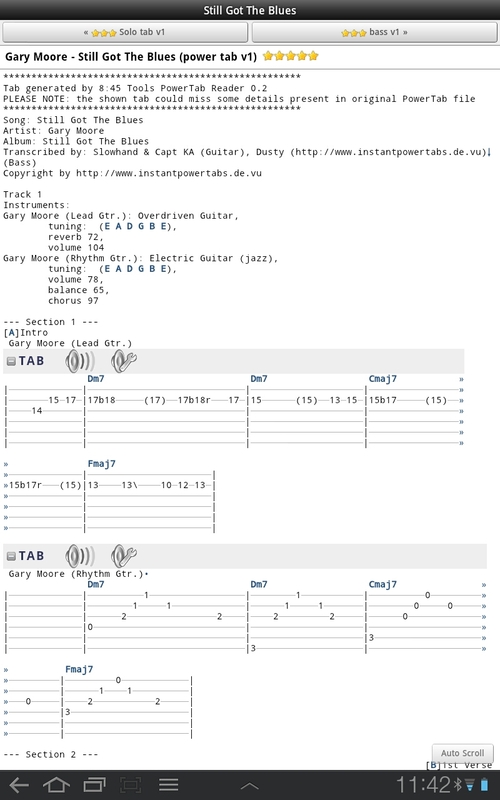 We’ve spent quite a bit of time running GuitarTapp on some tablets, improved its looks, and worked around some nasty issues of Android 3.0/3.1. An additional note about those Android versions: if you can update to 3.2, do it as soon as you can..
- The orientation (blank screen) bug. Rotating the device while viewing a tab, on some devices caused the tab viewer to display a blank screen. Sorry for this. Fixed it. - Occasional “Not connected” message when you actually do have a connection. We haven’t been able to reproduce this in v2.6 so it is almost safe to say we’ve fixed it. Correct us if we’re wrong. - Some other bugs that apparently went unnoticed by you – gone! Thanks again for everyone that took the time to e-mail us about issues and feature requests! Keep them coming!